Tetra is an adorable 6mo miniature Australian Shepherd. She was evaluated by the NIVES ER department after she stopped eating and developed extreme lethargy. Initial testing showed changes on her bloodwork including severe anemia (low red blood cell levels). 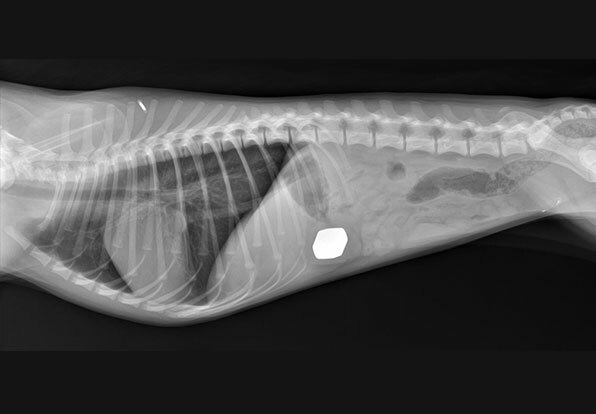 Radiographs (x-rays) were also done showing a surprise object in her stomach! Did you know that metallic objects containing zinc can cause anemia? After a zinc object is ingested, the acid in the stomach causes release of zinc allowing for absorption into the bloodstream. Several factors can affect the amount of absorption including the stomach pH, presence or absence of food, and the length of time the object has been in the stomach. Once in the bloodstream, zinc can cause severe anemia, kidney failure, inflammation of the pancreas and sometimes neurologic signs. 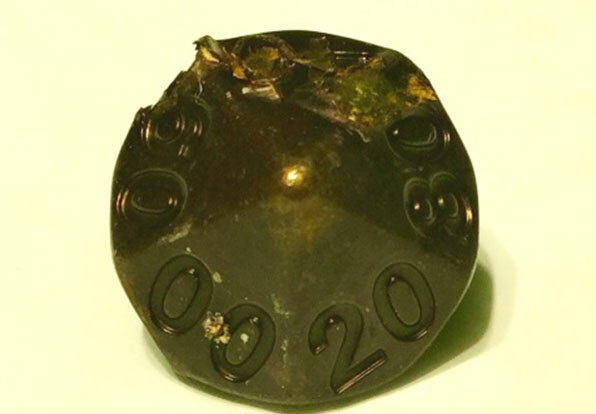 Zinc is found in many household items including US pennies minted after 1982, zippers, jewelry, board game pieces, metallic nuts, galvanized nails, identification tags and ointments (diaper rash cream, protective ointments, sunscreens). Blood zinc levels start to decrease after the source is removed. Therefore, the primary goal for Tetra was to remove the object as soon as possible. She was given a blood transfusion to stabilize her red blood cell levels prior to anesthesia. Fortunately, the Internal Medicine Specialist was able to use a non-invasive endoscope (flexible tube with a light and camera attached to it) to visualize and retrieve the foreign object (shown below)! Tetra remained in hospital for several days on fluid therapy, antacids and other stomach protectants. She recovered well and her red blood cell levels continued to improve each day. 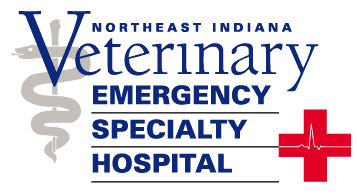 Pet Emergency Hospital Serving Fort Wayne, Indiana, Ohio and Michigan.Bring your pet to our emergency animal hospital if having a pet emergency.